Diction is a writer or speaker's word choice that helps define the written or spoken word and express your style. In English, there are many synonyms to choose from, but each word has a slightly different meaning and evokes different senses and emotions. Choosing the right words for your purposes is an important part of becoming a strong writer. Though diction is highly personal, it's also important to remember your audience when choosing an appropriate style. Consider the examples below to help you understand the way diction changes the writer's message. In writing, the rules of grammar ensure that what you say will be understood by your audience. However, within the general framework of the English language, you can also choose to write formally or informally. Formal diction involves choosing words that are polite and proper. Formal language is often filled with descriptive words that are quite precise, and sentences may be longer. Informal diction, on the other hand, often assumes that the audience already knows what you're talking about and generally uses shorter words. Sentences may be incomplete or ignore some finer points of grammar and usage. Formal: Hello, young man. It is a true pleasure to make your acquaintance. How are you feeling today? Informal: Hey, kid. Nice to meet ya. What's up? In the first example, the speaker uses longer words such as "pleasure" and "acquaintance" as well as longer sentences. By contrast, the informal speaker uses monosyllabic words like "kid", slang like "ya" and very short sentences. Though both examples convey the same information, they do so with different levels of formality. Formal: The man spoke to his father in a low voice so others could not hear. Informal: That guy told his dad secrets on the down-low. Formal: Would you care to explain the reasoning behind your decision to leave the gathering early? Informal: Why'd you leave the party so soon? Formal: Her terrible temper won't endear her to many if she refuses to control her outbursts. Informal: If she doesn't stop biting people's heads off, she'll lose all her pals. The candidate must be adept at both the latest communications technology and heritage voice systems to keep all stakeholders informed of developing trends in the workspace. The new secretary should be able to use both email and phone systems and share useful information with coworkers. She was hotter than a hen on a July Sunday. This sentence is highly informal, and it assumes that the reader understands that the hen is hot not just because it's summer, but because she's likely to end up in the soup pot for Sunday dinner as part of rural tradition. In some ways, colloquialisms such as this one can be just as exclusive as jargon, appealing only to groups who are in the know about local traditions and expressions. Diction sets the tone so if the diction used is formal the whole tone of the writing is formal. This can give a sense of seriousness, power or even artistic effect, as in these examples. Using informal diction, including slang and colloquialisms, gives writing a lighter tone, making the piece more down to earth and less lofty. Because both jargon and colloquial writing can exclude some readers from understanding your point, it's important to consider your audience before you begin to write. If you are writing for a small group of people at work who all know your terminology, jargon may be appropriate. Likewise, colloquialisms can help fiction writers develop characters that talk like real people. 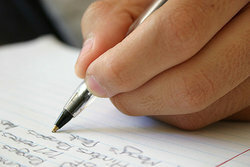 In most cases, though, it's best to write in a more formal style than you would use to speak to a friend. Academic writing requires careful attention to grammar and use of precise vocabulary so that your meaning is clear. Save slang terms and other informal expressions for emails and texts to friends or telling a story face to face. When you let your audience guide your diction, you're more likely to communicate your ideas effectively. "Diction Examples." YourDictionary, n.d. Web. 17 April 2019. <https://examples.yourdictionary.com/diction-examples.html>. Diction is a writer or speaker’s word choice that helps define the written or spoken word and express your style. In English, there are many synonyms to choose from, but each word has a slightly different meaning and evokes different senses and emotions. Choosing the right words for your purposes is an important part of becoming a strong writer. Though diction is highly personal, it’s also important to remember your audience when choosing an appropriate style. Consider the examples below to help you understand the way diction changes the writer’s message.